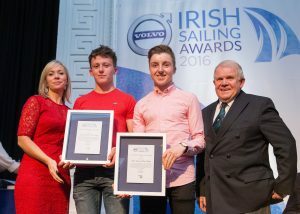 Well done to Ewan Mc Mahon, former 420 sailor, who won the Irish Junior Sailor of the Year in Dublin on Friday night. Ewan achieved a Silver medal in Laser Radial at the Laser Worlds held in Dublin last summer. 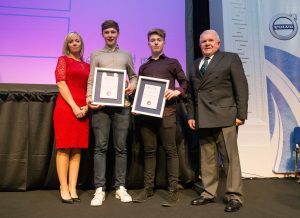 Other former 420 sailors nominated included Harry Durcan and Harry Whitaker for the Junior award for their achievements in the 29er and in the senior section Douglas Elmes and Colin O’Sullivan for their Bronze in the 420 at the ISAF Youth Worlds.